The first-ever interstate Nightingale project has found its home in Fremantle, WA. 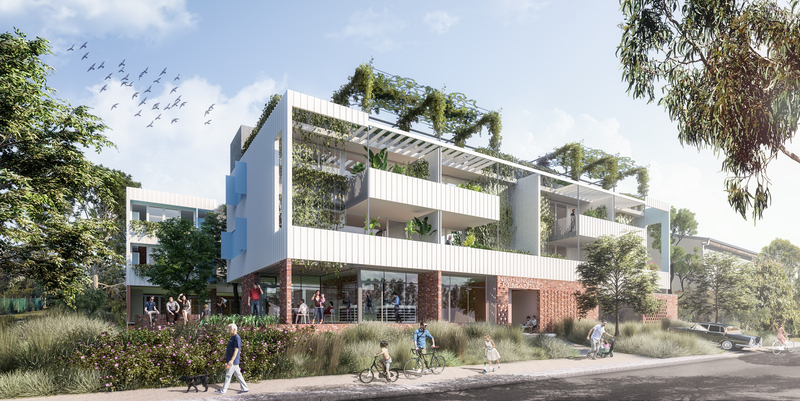 EHDO Architecture and Fini Sustainability are helming the approximately 15-apartment development for which a planning permit was granted earlier this year – notably, in a council committee meeting in which approval was granted within 45 seconds. 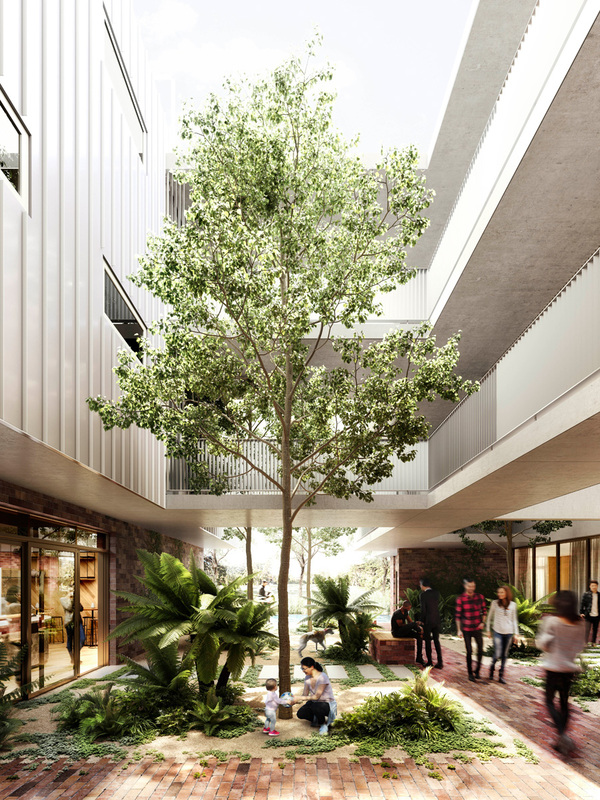 The mixed-use project will feature 270-square-metres of commercial space, plus a large communal area on the roof in the tradition of its recently-completed, multi award-winning Melbourne sibling, Nightingale 1. The mastermind behind the Nightingale model and founding director of Breathe Architecture, Jeremy McLeod is excited to have another project added to the brood. “We’re like proud parents watching our baby grow and mature,” he shared. 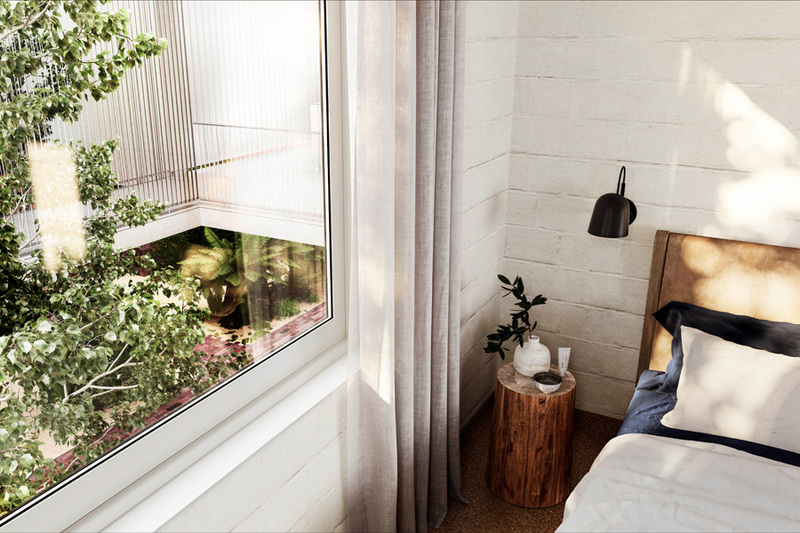 Pragmatism has emerged as a defining characteristic of Nightingale architecture, and the Fremantle incarnation is no exception. 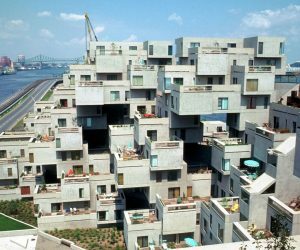 The architects explain that central to this design was a mandate to combat the ‘bad rap’ of multi-res developments. 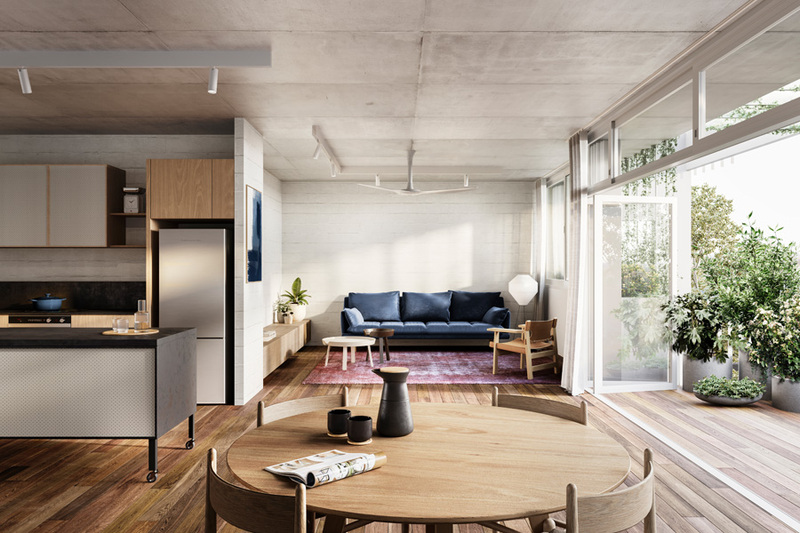 “Our initial impulse in approaching this project was to show by example that it was possible to produce a mixed-use apartment building that had environmental considerations at the heart of its existence while still being affordable and design-focused,” elaborates director of EHDO Architecture, Dimitri Kapetas. In this design, EHDO Architecture has set out to convince families that the prescribed suburban blocks with large gardens needn’t be the norm. To that end, extensive gardens and landscaping are integrated throughout the development. Meanwhile, the shared roof level invites tenants to engage with one another by offering shared utility spaces, productive gardens and a communal kitchen replete with an entertaining area and kids’ play space. “Our NatHERS rating ranges from 8.7 to 10 stars, with an average of 9.5,” Don explains. This impressive feat is achieved in part by highly thoughtful design. 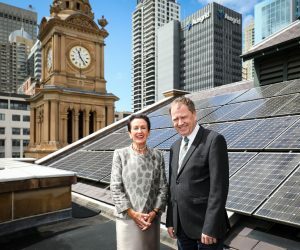 For example, every apartment has access to north light in winter for solar gain and features ample cross ventilation courtesy of the ‘Fremantle doctor’. As well as proposing a grey water system to serve ground-floor gardens and verges and rainwater harvesting for rooftop gardens, EHDO Nightingale Fremantle will be equipped with a 20-kW solar PV array with the option to add a further 30kW down the track. “We have also looked at reducing the embodied energy of the project by recycling the bricks and concrete from the demolition of the existing building, and used life cycle analysis to assist in selecting some of our building materials,” Don adds. And of course, EHDO Nightingale Fremantle includes the characteristic pursuit of economic empowerment – the project is exploring how body corporate can reduce tenants’ runnings costs by being an income-generating entity and commercial tenancies on the ground floor will be approved by the tenants.